With tax returns due this week, every wine lover in the USA is either confronting a hit to the ol’ wine budget or getting a refund that might permit a little splurge. In either case, I’ve got some advice for you. Those of you who will be shelling out to the IRS get priority. Everybody knows that times are already tough enough without Uncle Sam digging into your pocket, so as a counterweight to this double-whammy, let me offer the good news that affordable wines have never been as good as they are right now. 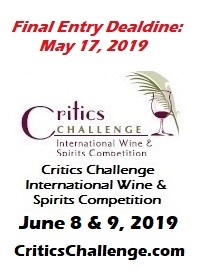 • Localized oversupply of wine grapes and a global softness in market demand have compressed profit margins so that wines priced around $10 - $12 are now selling at prices very close to production costs. I’m always on the lookout for over-achieving wines priced around $10 to $12, but in the first quarter of each year I run a particularly extensive search along with Paul Lukacs, my friend and colleague here at WRO. For 11 years we've tasted roughly 1,400 relatively affordable wines as consultants for the D.C.-based Clyde's Restaurant Group. Prosecco Extra Dry, Montelliana, Montello E Colli Asolani, Italy ($12, The Country Vintner): Bright and lively, with ripe apple and citrus fruit flavors. Pinot Grigio, Riff, Delle Venezie, Italy, 2008 ($12, Dalla Terra): Summer fruit flavors are edged with notes of citrus and toasted nuts. Sauvignon Blanc, Fire Road, Marlborough, New Zealand, 2009 ($12, Winesellers USA): Zesty grapefruit and pineapple notes with accents of dried herbs. Torrontes, La Puerta, Famatina Valley, Argentina, 2009 ($12, Ecosur Group): Fresh floral aromas and subtle mandarin orange fruit with a crisp finish. Dry Riesling, Chateau Ste. Michelle, Columbia Valley, WA, 2008 ($12): Subtle floral notes lead to ripe apple fruit with a subtle edge of spices. White Blend “Cuvée Marine,” Haut Marin, Côtes de Gascogne, France, 2008 ($10.50, Elite Wines Imports): Crisp and clean, with fruit notes of pear and white melon. Chenin Blanc “Petit Chenin,” Ken Forrester, Stellenbosch, South Africa, 2009 ($9, Boutique Wine Collection): Fruity but dry, marked by lively peach and melon flavors. Pinot Grigio, Hogue, Columbia Valley, WA, 2008 ($11): Fresh fruit flavors reminiscent of apples and pears. Grüner Veltliner “Gmörk,” Anton Bauer, Wagram, Austria, 2008 ($11, Select Wines): Apricot and citrus fruit enhanced by echoes of white pepper and spice. Chardonnay, Indaba, Western Cape, South Africa, 2009 ($9, Cape Classics): Bright citrus and tropical fruit aromas lead to a crisp, bright wine with apple and spice flavors. White Blend “Ménage à Trois,” Folie à Deux, California, 2008 ($10.50): An opulently rich blend of Chardonnay, Chenin Blanc, and Moscato. Côtes-du-Rhône “Belleruche,” M. Chapoutier, Rhône Valley, France, 2008 ($12, Terlato): Tasting Note: White melon flavors lead to a spicy, mineral finish. Pinot Gris, Cline, Sonoma County, CA, 2008 ($12): Tasting Note: Lush autumn pear flavors with lightly earthy, smoky undertones. Chardonnay, McWilliam’s, South Eastern Australia, 2008 ($10.50, McWilliam's USA): Tasting Note: Ripe notes of tropical fruit are accented with a subtle tinge of oak. Chardonnay, Errazuriz, Casablanca Valley, Chile, 2008 ($11.50, Vintus): Softly ripe and rounded, with lush peach flavors edged with citrus notes. Viognier, Cline, California, 2008 ($12): Expressive floral aromas intertwined with ripe fruit recalling peaches and pears. Sangiovese, Di Majo Norante, Terra Degi Osci, Molise, Italy, 2008 ($11, Winebow): Enticingly soft and round, with flavors echoing dried cherries and savory spice. Pinot Noir “Reserva,” Santa Carolina, Maule Valley, Chile, 2008 ($9, Carolina Wine Brands): Silky and soft, with bright red cherry fruit, and a clean finish. Chianti “Cetamura,” Coltibuono, Tuscany, Italy, 2008 ($10.50, Dalla Terra): Subtle hints of tobacco and leather add intrigue to red berry aromas and flavors. Red Blend “Small Hill,” Weingut Hillinger, Burgenland, Austria, 2007 ($12, Select Wines): A blend of Pinot Noir, Merlot, and St-Laurent, offering a soft texture and a mélange of red and black fruit. Tinto, Protocolo, Vino de la Tierra de Castilla, Spain, 2007 ($7, Jorge Ordoñez): Lush on the palate, with dark cherry flavors enriched by hints of vanilla and spice. Nero d’Avola, Tenuta Rapitala, Sicily, Italy, 2008 ($12, Frederick Wildman): Bright but substantial, with blackberry and plum fruit and a smooth finish. Tempranillo, Tapeña, Vino de la Tierra de Castilla, Spain, 2008 $9, Freixenet USA): Red and black cherry fruit with lightly spicy accents. Merlot, Errazuriz, Curicó Valley, Chile, 2008 ($11.50): Soft but very flavorful, with dark berry fruit and hints of cedar and herbs. Altozano, Vino de la Tierra de Castilla, Spain, 2006 ($10, San Francisco Wine Exchange): Dark cherry and plum fruit enhanced by echoes of cocoa powder and spices. Montepulciano d’Abruzzo, San Lorenzo, Abruzzo, Italy, 2007 ($11, Siema): Substantial dark berry and black cherry fruit backed by soft tannins. Malbec, Dolium, Mendoza, Argentina, 2008 ($11.25, Elite Wines Imports): Hints of licorice and violets in the bouquet enhance a core of rich plum fruit on the palate. Shiraz, Strong Arms, South Australia, 2008 ($10, Grateful Palate): Rich and ripe, with dark fruit flavors and a finish that hints at cocoa and chocolate. Cabernet Sauvignon “Reserva,” Calina, Maule Valley, Chile, 2008 ($10, Sovereign): Well-structured, with dark fruit flavors supported by vanilla-tinged oak, and a firm finish. Shiraz – Cabernet “Gamekeeper’s,” St. Hallett, Barossa, Australia, 2008 ($11, Lion Nathan): Exuberant and showy, with sumptuous red and black fruit flavors. Carmenère “Reserve,” Santa Digna, Central Valley, Chile, 2008 ($12, Dreyfus Ashby): Dark berry fruit with a slight herbal edge and a long, satisfying finish. 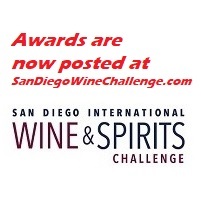 These are exemplary wines that are battle tested against other wines of their type, and also table tested with food by impartial tasters with no bias regarding producers or regions. You can purchase and serve them with confidence, and I’d be willing to bet that you’ll conclude that they offer outstanding performance and value. Since the economy is still in pretty sorry shape, you may not yet be in a splurging frame of mind even if you’re getting a refund check. That’s perfectly understandable, but here’s an observation that I’ve been making for years in this annual column that might loosen your grip on your wallet: A tax refund splurge on wine can actually be an investment of sorts if you buy a wine that will teach you something and expand your range of vinous experience. “Coyam” by Emiliana, Colchagua Valley, Chile, 2007 ($30, imported by Royal Imports): My strong suspicion is that most North American wine lovers have a blind spot regarding mid-range Chilean reds. The strength of the wines priced in the low teens is well known, and likewise some big-ticket reds like Don Melchor from Concha y Toro or Purple Angel from Montes have gotten a lot of press. But how many consumers can name a Chilean red priced between $20 and $40? Emiliana’s “Coyam” is priced right in the middle of that window, and it is an eye-opener of a wine for those who might be suffering from that blind spot, performing at the level of a $70 wine for less than half of that price. A blend of 38% Syrah, 21% Cabernet Sauvignon, 21% Carmenere, 2% Petit Verdot and 1% Mourvédre, the wine shows the density and depth of flavor that is usually found only in much more expensive wines. However, weight and intensity are hardly its only charms, as the dark fruit notes are enveloped in wonderful accent notes recalling cocoa powder, espresso beans, woodsmoke and spices. Earning a rating of 94 points when I first tasted it, I wouldn’t be surprised if it earns a notably higher score once it has had another couple of years to develop additional secondary aromas. A damned impressive wine, this will arrive soon in the USA, and in the meantime, jump on the 2006. 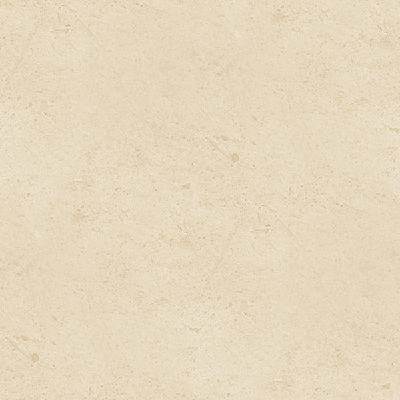 Jacquesson Champagne: A refund check is definitely cause for celebration, and nothing says celebration like marvelous Cuvée de Prestige Champagne. However, if you are to stay in keeping with the principle that expanding your knowledge makes the purchase an investment rather than an act of self-indulgence, you’ll need to branch out and try a wine from a great house previously unknown to you. Try Jacquesson. This venerable house was founded in 1798, but remains quite modest in size by regional standards, and the wines are highly distinctive in style and highly distinguished in quality. The wines are very dry in style, and they must be made very carefully since they don’t have the cosmetic overlay of sugar that hides flaws in so many mass-market Champagnes. Low yields, vinification in wooden foudres and regular battonage (stirring of yeast lees) all contribute to the complexity of the wines, which are very expressive in aroma and flavor but in a delicate, subtle way culminating in highly detailed and persistent finishes. The top current releases are Jacquesson Grand Cru Avize 2000 ($135, Vintage ’59 Imports), which I rated at 94 points on the strength of its marvelous toastiness and minerality, as well as Jacquesson Millésime 2000 ($159), which is even softer, broader and more complex (scored at 96 points). 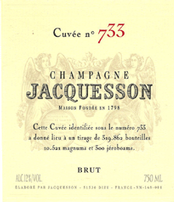 If these would take too big a bite from your refund check, Jacquesson also makes an excellent entry-level wine based predominantly on a single vintage, which is 2005 for the current release, Jacquesson “Cuveé no. 733” NV ($65), which I rated at 92 points last October on WRO. This is a terrific house at the top of its game. Penfolds Grange 2004 (about $400, imported by FWE Imports): There’s no doubt that this qualifies as a splurge, but there is likewise no doubt that Grange is one of the world’s greatest wines, clearly on a par in its own distinctive style with the likes of Latour and Lafite and probably even more age-worthy. The 2004 vintage is the best young Grange I’ve ever tasted. I scored it at 98 points after a first look last summer, and it picked up two more points when I tasted it again three weeks ago. It merits a perfect score in my mind because I cannot imagine how anything could be added to it that could make it better, and likewise none of its many components of aroma, flavor or texture could be taken away without diminishing it. It is massively concentrated and almost frighteningly deep and persistent in flavor, yet it is also amazingly nuanced, and its countless nuances are remarkably integrated and symmetrical in relation to one another. The balance of oak and tannin to fruit is, well, perfect, and the aromatic complexity is perhaps best described as “orchestral” in its intricacy. Peter Gago of Penfolds is among the world’s very best winemakers, and this wine is probably his greatest accomplishment to date--though one wonders what wonders he has loaded into the pipeline from subsequent vintages. Sherry at the High End: If you have never tasted an aged sherry in the VOS or VORS classifications, you owe it to yourself to pony up some refund cash and try one or two of these surpassingly complex wines. They are not inexpensive, but a moment’s reflection on the inventory costs involved in 20 and 30 year-old wines and the artistry required to craft them from a solera will show them to be among the world’s best values at the high end of wine. They can also be mind-blowingly good with food. 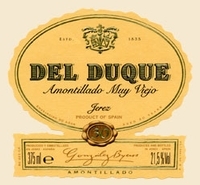 Among the driest styles, a particular favorite of mine is the Gonzalez Byass, Amontillado Viejo "Del Duque" VORS 30 Year-Old ($40 or so for a 375 ml bottle, but available online for less; imported by San Francisco Wine Exchange) which is phenomenal with aged cheese but can also be terrific with consommé or cream-based seafood bisques, smoked or grilled finfish, lighter smoked or cured meats, or many lighter preparations of white meats or game birds. Richer but still essentially a dry wine is Bodegas Dios Baco, Oloroso Sherry “Baco Imperial” VORS 30 Year-Old NV ($100 or so for a 750 ml bottle, imported by CIV USA), which was one of my WRO wines of the year for 2009. Also superb but less pricey is Williams and Humbert, Palo Cortado “Solera Especial” VOS 20 Year-Old ($50 for 750 ml, imported by Kindred Spirits). Excellent food pairings for these last two would include stews or cassoulet; red meats; game meats (especially venison); organ meats like sweetbreads; ribs or braised oxtail; pork or veal cheeks; confit of duck or goose; lightly spicy salami or chorizo; more robust preparations of game birds or squab, or mature hard cheeses.